The publication of How Poems Work has been made possible by the generous support of the Warden and Fellows of New College, Oxford through the New College Ludwig Humanities Research Fund. Historical backgrounds, meanings, techniques and effects are explained and analysed clearly and logically to help readers understand what poets have been trying to say to us across the centuries. At the same time, major themes that have recurred in poetry are highlighted, so general readers, teachers and students can navigate the poems as they wish: by time period, by technique, or by theme. 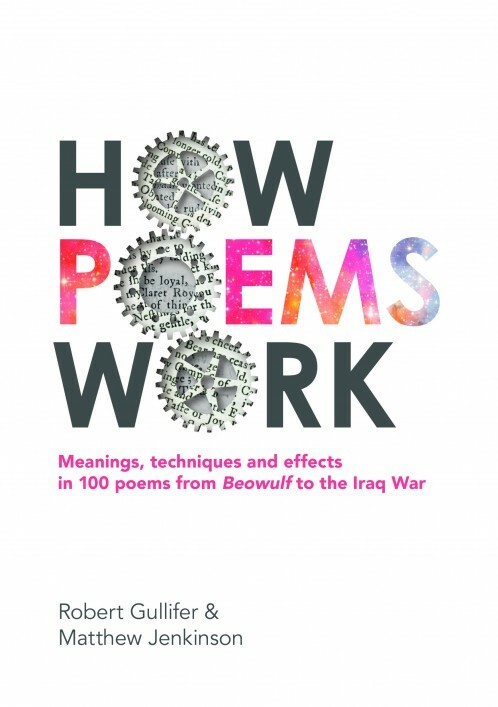 This book has been designed so it is useful to anyone interested in learning about or teaching poetry, as well as those revisiting poems and poets they may have already encountered. Those poems and poets have been carefully selected to ensure that How Poems Work covers much of the existing poetic canon while broadening it to include diverse historically important poets who have been previously overlooked, or to include less well-known poems by already canonical poets. Matthew Jenkinson holds a doctorate in cultural history from Merton College, Oxford. He is Deputy Head Academic of New College School, Oxford, and is the author of several articles and books, including Charles I's Killers in America and Culture and Politics at the Court of Charles II. He is also editor of the Hour-Long Shakespeare series and a Fellow of the Royal Historical Society. Robert Gullifer read English at St Catharine's College Cambridge, where he was also a Choral Scholar, and did his PGCE at the Oxford University education department. He has taught English at both senior and prep schools, was Chair of the OCR General Qualifications Panel for English, and was appointed Headmaster of New College in 2008. Asides from education and his particluar interest in 18th century English literature, he is still a keen musician and also enjoys to travel.